Professional cleaning services in Ocean City, NJ and surrounding areas. Keeping your home and offices clean since 1985. Professional cleaning services in Ocean City, NJ and surrounding areas. Keeping your home and offices clean since 1985. We are Maid for this! 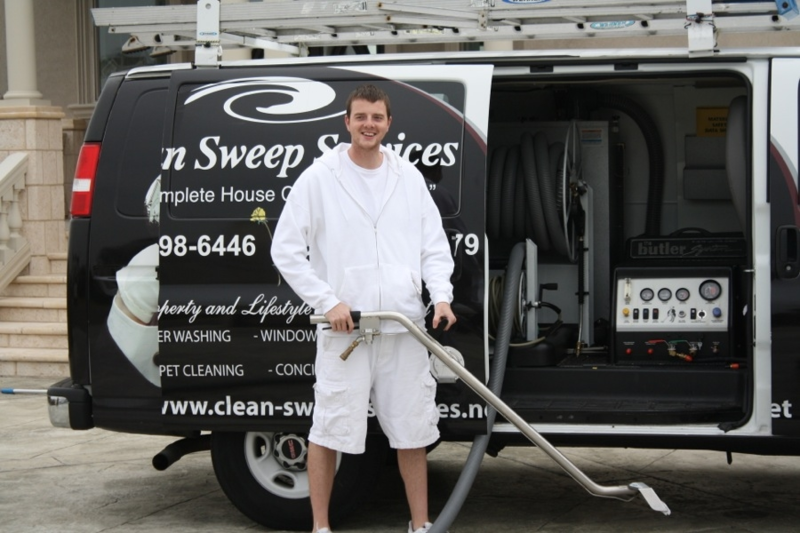 Clean Sweep Services is located in Ocean City, New Jersey and has been serving Cape May and Atlantic County for over 30 years. Clean Sweep Services is fully bonded, licensed, and insured. 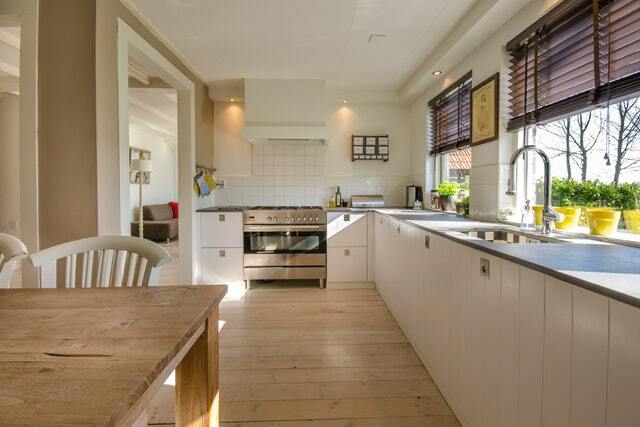 We offer a complete house cleaning service as well as property and lifestyle management services. Our staff is professionally trained and our company vehicles come fully equipped in order to provide excellent services to all of our valued customers. From general residential or commercial cleaning, to deep cleaning, construction clean up, carpet cleaning, window washing, power washing and more, our services are customized to satisfy each customer’s individual needs. Check out our services page for a complete listing of all the property and lifestyle management services we provide! We ensure that your home or office is always clean so that you can have one less thing to worry about. We offer weekly, bi-weekly, tri-weekly, monthly, and one-time cleaning. Our carpet cleaning vehicle is equipped with The Butler System. It is the most thoroughly equipped, multi-use carpet and fabric cleaning system in the industry. With this commercial cleaning machine we can ensure an optimum cleaning of your carpets, furniture, and upholstery. 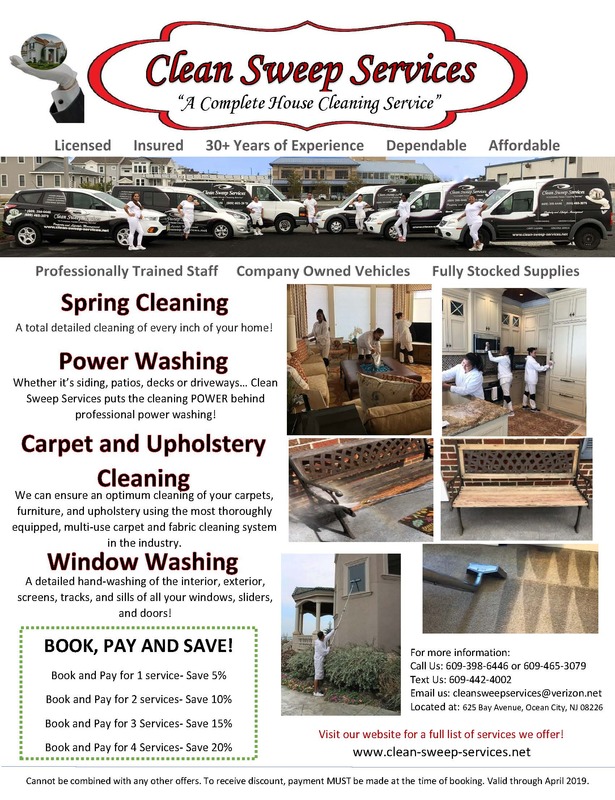 Our variety of services include power washing, window washing, property inspections, laundry, personal errands and more. These are just some of the ways we can help you in your daily life. What can our property and lifestyle services do for you? We will customize your services to ensure complete satisfaction! 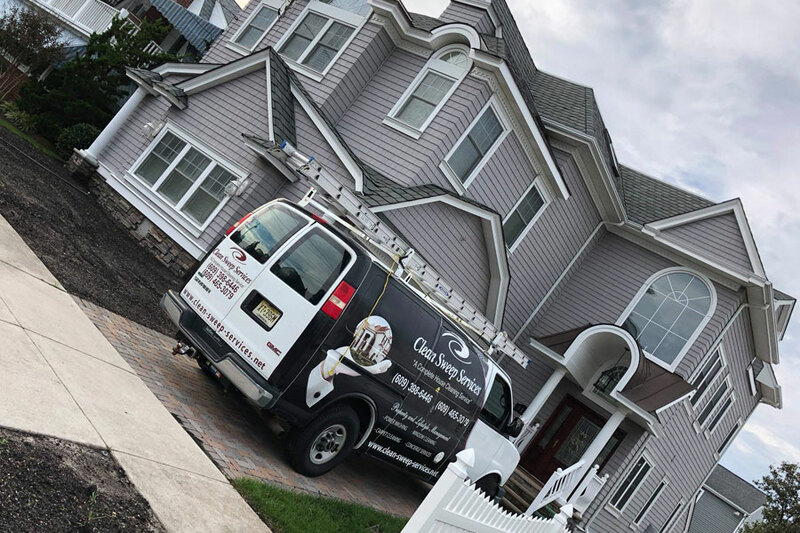 With over 30 years of experience combined with our high standards and a commitment to our customers, it is no wonder why Clean Sweep Services has grown to be one of the largest property and lifestyle management companies in South Jersey. We are proud to be a certified partner with Cleaning for a Reason in which we provide free cleaning for cancer patients. 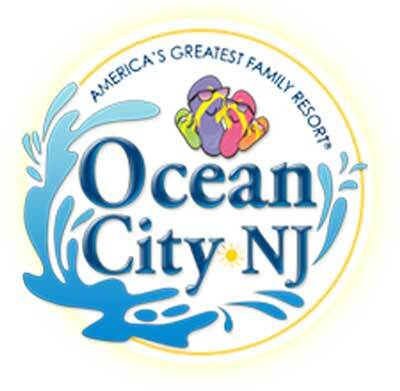 We are also members of the Ocean City Chamber of Commerce, and the Association of Residential Cleaning Services International. You can take comfort in knowing that Clean Sweep Services is 100% licensed, bonded, and insured. Clean Sweep Services was amazing. They were professional, fast, and left my house looking amazing. I would highly recommend them Jannace W.